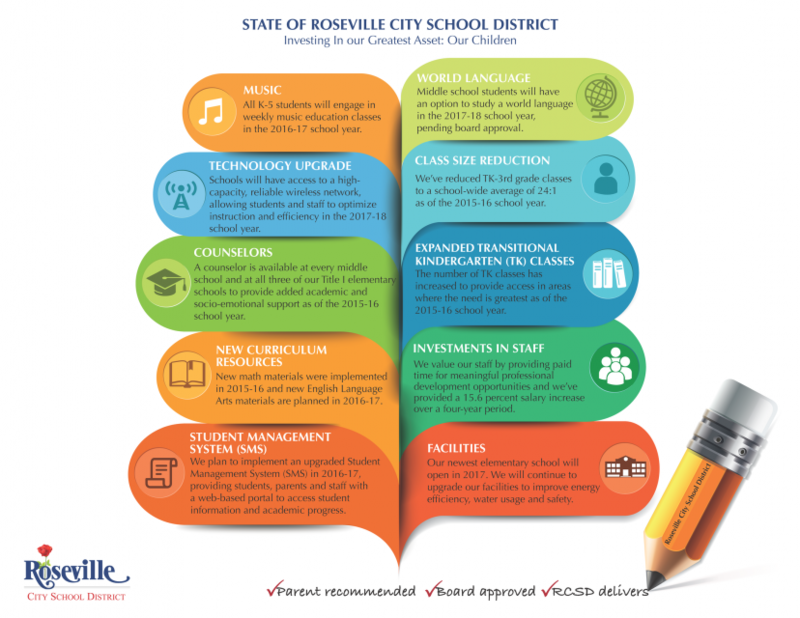 Roseville City School District is making significant investments in our students’ education in the areas of music education, technology, world language and more. These changes come from parent recommendations in the Local Control and Accountability Plan (LCAP) survey and align with our board of education’s goals. Thank you to our parents, staff, caretakers and the community for being our partners in education!